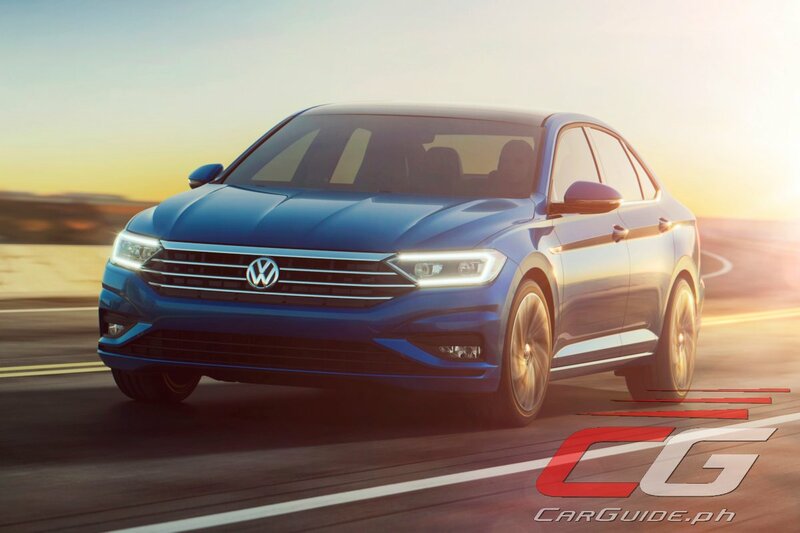 Volkswagen has just unveiled the 7th generation Jetta, a full-on redesign of their compact car that promises dynamic proportions, optimal space utilization, and new range of assistance systems. Produced at the German automaker’s Mexico plant, it will be put on sale there by the first quarter of 2018 with the US market to follow by around midyear. The all-new 2019 Jetta finally migrates to the MQB or Modular Tranverse Matrix platform, the same platform that underpins the Golf, Tiguan, and Passat. 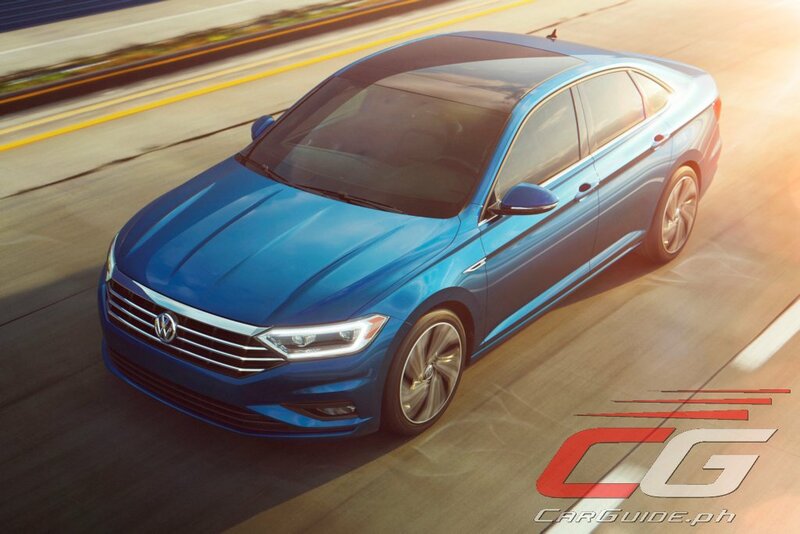 Dimensionally, the new Jetta is close to Passat. It measures 4,702 mm in length (+ 43 mm) with a wheelbase stretched to 2,686 mm (+ 35 mm). Compared to the previous Jetta, the front overhang is shorter (- 10 mm) and the rear overhang longer (+ 18 mm). It’s also wider at 1,799 mm (+ 21 mm) and taller at 1,459 mm (+ 6 mm). It makes significant gains in head, shoulder, and knee room while also getting an impressive 510 liters of trunk space. The Jetta’s dynamic form has been optimized in the wind tunnel. It has a 0.27 co-efficient of drag thanks to special aerodynamic detailing such as a low-turbulence rear design, flow-optimized underbody panels, and more. This improvement should spell an increase in both comfort (lower wind noise) and fuel efficiency. LED lighting is standard for the headlights, daytime running lights, and taillights. For 2019, power comes from a single engine option: a 1.4-liter TSI engine with 150 horsepower and 250 Nm of torque. This direct-injected, turbocharged engine is mated to an 8-speed automatic that offers better drive-off performance and fuel economy. A 6-speed manual is also available. 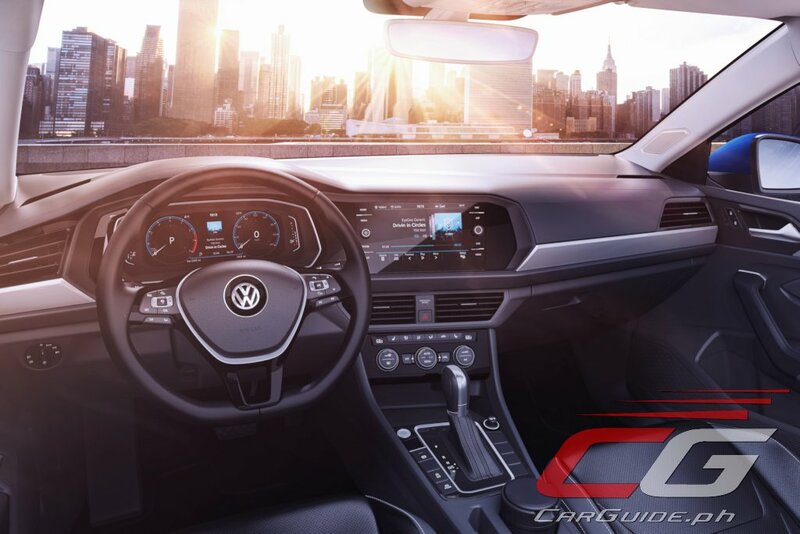 The 2019 Jetta also points the way to the next decade of Volkswagen interiors. The driver-oriented layout is arranged on two levels with the upper one housing all key functional controls while the lower one is for storage. The climate control interface serves as the buffer between the two zones. Some of the available features include a 10.2-inch all-digital display (Active Info Display), the Composition Color infotainment system which incorporates both Apple CarPlay and Android Auto, driver-selectable interior lighting, and a 400-watt sound system from Beats by Dre. 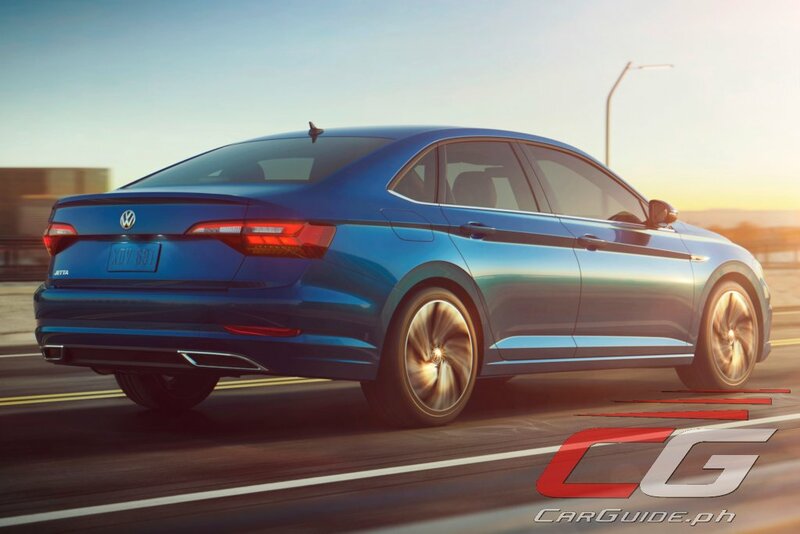 Moving to the MQB platform also enables the 2019 Jetta to gain access to all sorts of advanced driver assist technologies such as Emergency Braking, Blind Spot Monitor, Adaptive Cruise Control, Lane Assist, Rear Traffic Alert, and Light Assist. A nice promising car.. Sayang lang talaga yung brand stigma ng scandal sa emission. Only those who haven't driven or perhaps owned a VW are the only ones bashing about dieselgate. Someone once said that... there are only two cars I could eat in front of a muffler if I have to [because I'm terribly hungry]... a Peugeot and a VW. Better than any Jap or Korean car. I hope its not dual clutch. DSG? Current VW dual-clutch trannies are much smoother. Test drive the current Jetta or GTS. It shouldn't be a problem although a stick shift is an option for this new Jetta. How much cost the preventive maintenance?